British authorities, whose relations with Moscow have been strained, are yet to renew Russian billionaire Roman Abramovich’s visa after it expired last month, two sources familiar with the matter say. 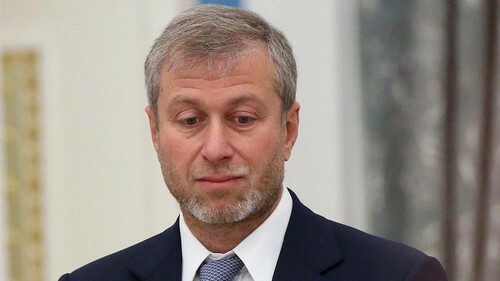 Abramovich, best known in Britain as the owner of Premier League football club Chelsea, is in the process of renewing his visa as part of a standard procedure, one of the sources told Reuters. Russia’s The Bell outlet reported on Sunday Abramovich did not attend Saturday’s FA Cup final in London, the showpiece end to the English football season when Chelsea beat Manchester United, because he did not have a visa. The visa application is taking longer than usual but there is no indication that the visa will not be renewed as there is no refusal or negative feedback, the source told Reuters. Millhouse, the company which manages Abramovich’s assets, declined to comment. Britain’s Home Office could not be reached for comment. Relations between Britain and Russia hit a low after London accused Moscow of poisoning former double-agent Sergei Skripal in Britain in March, prompting countries around the world to expel scores of Russian diplomats. Russia has denied any involvement in the poisoning and retaliated in kind. Abramovich made his fortune in the oil industry in the 1990s in Russia and bought Chelsea in 2003 since when he has helped to transform the club into one of the most successful in the Premier League.